Growing up, you were probably told many times to always say, “Please” and “Thank you.” It was a matter of politeness. 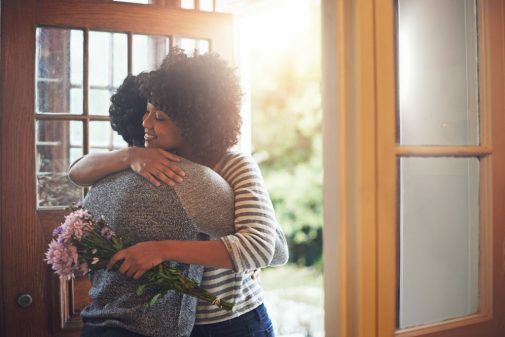 But one study suggests that expressing gratitude is more than just being polite; it’s actually a matter of your health—relationship and emotional health, that is. The results of the study were published in the journal Emotion. They found that when gratitude is expressed, it leads to improved social and emotional connections between people. In addition to encouraging relationships, expressing gratitude has also been shown to improve health by increasing feelings of well-being and decreasing depression. “A simple ‘thank you’ leads people to view you as a warmer human being, and, consequently, to be more interested in socially engaging with you and continuing to get to know you to build a relationship with you,” said co-study author and social psychologist Monica Bartlett, in a statement. Those mentors who received notes with sincere thanks from their mentees were more inclined to continue the relationship than those who were not thanked in the notes. In addition, those mentees who sent true thank you notes were perceived as being significantly warmer. Gratitude is not just a response to something someone has done for us. “Gratitude can also be a lens, through which to see the world, our work and relationships,” says Rev. Stacey Jutila, vice president of mission and spiritual care for Advocate Children’s Hospital and Advocate Christ Medical Center in Oak Lawn, Ill.
A few years ago, Rev. Jutila participated in a six-week gratitude challenge with some of her colleagues where before getting out of bed each day, participants were asked to think about five people they were thankful for in their lives. Even months after the challenge, she says her colleagues still start their days the same way. “This daily gratitude practice has helped me and many of my colleagues focus our efforts in our work, how we lead teams and how we relate to others. Many have also found that it assists with stress reduction and staying true to their values and mission as leaders,” says Rev. Jutila. Adults are not the only ones who can benefit from this daily practice. Families can invite younger children to name what they are grateful for at the dinner table or at bedtime. “My own daughter now expects that each of us in our family will share at least three things we are grateful for before she goes to bed. Hearing what she is grateful for has expanded my own vision of gratitude and helped me appreciate people, things and events that I had not previously given thanks for in my life,” adds Rev. Jutila.